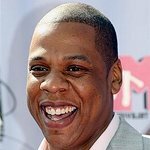 It takes a champ to raise millions for charity, and on Saturday night Muhammad Ali proved he is the Greatest of All Time while hosting the 14th annual Celebrity Fight Night. This yearly star-studded event attracts the who’s-who of charitable giving in efforts to raise money in the fight against Parkinson’s disease. 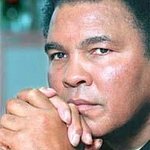 Aside from silent and live auctions, central to the event are the Muhammad Ali Awards, which recognize those in the sports and entertainment communities who best represent the qualities Ali looks for in his fight against Parkinson’s disease. This year’s recipients included actor Kevin Costner (who received the Muhammad Ali Achievement Award), record producer Clive Davis (Muhammad Ali Entrepreneur Award), country singer Reba McEntire (Muhammad Ali Humanitarian Award), and San Diego Charger Running Back LaDainian Tomlinson (Muhammad Ali Sports Achievement Award). Whitney Houston wowed guests as she took the stage to introduce Kevin Costner. His acceptance speech had most – if not all – of the attendees close to tears. LaDainian Tomlinson’s acceptance speech was just as moving, but the mood lightened as the musical performers took to the stage to celebrate the spirit of the giving. John Mellencamp headlined the musical performances and rocked the crowd while showcasing the talents that have rightly secured him a spot in the Rock and Roll Hall of Fame. Other notable performances came from Jordin Sparks, Dionne Warwick, Collin Raye, Sinbad, and Tamia Hill. But it was Faith Hill who raised the bar by performing a single song for an attendee who pledged $100,000 to hear her sing. Earlier in the night, during the live auction, bids for a private dinner with Hill and husband Tim McGraw had reached $300,000 before Reba McEntire was included as part of the package. Within minutes, the closing bid was an astonishing $500,000. 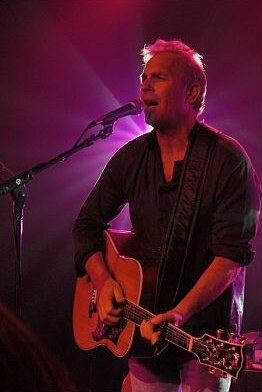 After the main event, Kevin Costner performed at the after party with his band Modern West. He delivered a knock-out performance that kept the crowd on its feet and the energy level high. The Academy Award winner sang with a remarkably soothing voice, while strumming his guitar and making eye contact with just about everyone who was lucky enough to be there. Baltimore Raven Ray Lewis made his entrance with San Diego Charger Shawne Merriman, who was attending the event for the second time. “I can’t believe we can get everybody out here in one building for a great event,” Merriman said. " I’m totally amazed at the number of great people, this is my second year and I’ll basically mark this weekend off on my calendar every year to come and support it." Arizona native and undefeated USBA cruiserweight boxer BJ Flores, along with Team Flores (Jay of Juggler Entertainment and MIMS of DET to LA), lit up the red carpet and created a media frenzy as Jay interviewed the legendary Dionne Warwick with Flores while the world’s first diva posed with his title belt. Former Olympic gymnast Mary Lou Retton was in great spirits, even when asked about the current political backlash surrounding the Olympic Games. Other notable celebrities in attendance included musician Alice Cooper, actor/director Mike Binder, actor Terry Crews, Arizona Cardinal Larry Fitzgerald, musician/composer David Foster, UFC Champion Chuck Liddell, Phoenix Sun Shaquille O’Neal, actress Holly Robinson Peete, former boxer Ernie Shavers, former football player Phillippi Sparks, actor Kevin Sorbo, former football player Roland Williams, and celebrity chef Roy Yamaguchi. Thanks to all attendees, celebrities, and sponsors who helped improve this world by giving back. Special thanks to those who walked away with some fantastic auction items, including: A 2008 Roush P-51A Mustang convertible purchased by GoDaddy CEO/ Founder Bob Parsons for $300,000 (only 151 editions of this Mustang were made, and this is the only convertible, donated by Sanderson Ford and Roush Performance), an Arnold Palmer golf package was purchased by Stewart Rahr (President/CEO of Kinray Inc.), and a Phil Mickelson golf package was purchased by Stewart Rahr, Joel Farkus, Jerry Wang, and Jeff Mallett for $500,000. This years Celebrity Fight Night netted an incredible $5 million for the Celebrity Fight Night Foundation, making it one of the most successful charity events in recent years.